María de Lourdes, or Lulú, as she is better known, was born in México in 1974, to a family with deep roots in the agriculture activity in the central state of San Luis Potosí. She is also certified as Six Sigma Green Belt and Sponsor; and has an Executive Lean Manufacturing program certification from University of Lexington KY.
Lulú has over 23 years of operational and managerial experience in the manufacturing industry. Early in her career she worked for the automotive components supply industry in several engineering roles in Quality, Warranty, Manufacturing and New Product Introduction. She started her career with Cummins 12 years ago, in 2006, as Quality Manager at the Cummins Generator Technologies plant in her hometown in San Luis Potosí. As her career progressed, she held the positions of Manufacturing Engineering Manager, Product Engineering Manager, and Supplier Quality Development leader; and in 2010 she became the first female Plant Manager in the history of Cummins in San Luis Potosi, México. In 2014, she was promoted to the position of Director of Global Manufacturing Engineering and Strategy in the New and ReCon Parts business, and was expatriated to Columbus, Indiana. She returned to San Luis Potosí in 2016 to take the role of Plant Manager for Cummins New and ReCon Parts México, and in May of 2018 was promoted to lead the Global Manufacturing Operations for NRP. Lulú loves to engage in projects related to environmental preservation and supporting STEM. To be involved in the betterment of her community and work environment has always been a strong motivation for her. This is why she has been regularly part of affinity groups, whether while working in the USA, or during her early days in CGT. Since 2017, Lulú has been championing the Women Affinity Group (WAG) for Mexico, expanding its reach to LATAM in 2018, always with a drive to offer and promote equal opportunities for all genders, as well as to increase awareness regarding women related issues. Lulú was President of the CEFI Board of Directors from 2012 to 2014, a not profit organization to develop skills and provide job opportunities for vulnerable people in SLP México. Lulú has been married for 19 years. She and her husband Carlos are the proud parents of two boys, Carlos and Rodrigo, who are 16 and 14 years old respectively. To guide and support her children academic and integral upbringing is a key personal priority for her. She enjoys spending time and having fun with her family. Some of her interests include cooking, gardening, and travel. Her focus was in composite materials and nanotechnology. From 2007-2014 she was a composites subject matter expert for the El Segundo Materials and Process team. She worked in product support for the Solar Array, Antenna, and Structures group. She qualified the first high modulus fabric for satellite use, and the first commercial program for space use. 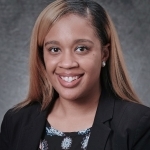 Currently she works in St. Louis as a Technical Lead for the Thermoplastic Composites Development team. She is the principal investigator for joining thermoplastic composites into assemblies for future aircraft (commercial and military). Francis is the deputy focal for the Society of Hispanic Engineers (Boeing external technical affiliation) for the enterprise. She led community and mentoring STEM outreach in Alabama, California and Missouri. She has chaired the Celebration of Women in Technology Conference twice, in El Segundo and St. Louis. She has a passion for mentoring and empowering youth and women to pursue technical fields. Outside of work she enjoys travel both near and far, latin dance, and hiking. board services coordinator, and professional development trainer in the United States and South America. For over a decade, Dora has been a part of the American College of Education core faculty, impacting educators across the world by writing and teaching master and doctoral level courses in education administration, curriculum and instruction, and bilingual education. Dora has provided 50+ early literacy training nationwide with a focus on linguistics, bilingual literacy development, and curriculum integration. In addition, she has served on the boards of directors for the Association of Hispanic School Administrators and Chess for Humanity. Dora earned her doctorate in Education Administration from the University of Texas at Austin in 2014 in the Cooperative Superintendency Program. She has a Master’s of Science in Reading, Bachelors of Science in Interdisciplinary Studies and a specialization in Bilingual Education. Her published research is in the area of professional development for educational leaders. 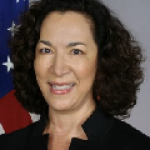 Monique Quesada has been a career Foreign Service Officer for the U.S. Department of State since 1988. 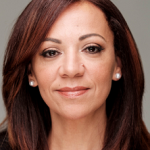 Previously the U.S. Consul General in Marseille, France, Monique’s past experiences include working as the Cultural Attaché for the U.S. Embassy in London, the Deputy U.S. Senior Civilian Representative for Western Afghanistan in Herat, Afghanistan, and Embassy Spokesperson and Information Officer in Rabat, Morocco. Since 1988, Monique has split her career between Political Affairs and Public Diplomacy assignments, serving mostly in Western Europe and North Africa. She speaks the following languages with varying degrees of fluency in French, Italian, Spanish, Dari, Arabic, Modern Greek and Portuguese. Monique’s family background personifies American “diversity”. Her father came to the U.S. as a student from the Philippines; her mother emigrated from the Netherlands; and Monique was born in Venezuela. She gained her U.S. citizenship when she was eight years old in Houston, Texas, grew up in Columbus, Ohio but now considers herself a resident of the great State of Florida. 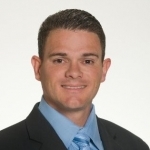 He has over 20 years of experience in large system integration, technology consulting and outsourcing projects, serving private sector clients in the financial services, products, and technology industries as well as internal Accenture talent acquisition programs that support the multiple human resources functions. He has worked in the banking, capital markets, and lending sectors. 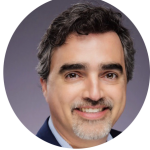 In addition, he has years of experience leading large-scale and complex program delivery with multiple technologies, ranging from mobile, online applications, high-volume transactions systems, and call centers. Manage the Perfume and Delivery Technologies organization for F&HC, and the F&F Discipline. 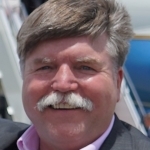 He has an outstanding record navigating ambiguity within multi-level, matrixed organizations and through mid-level and multibillion-dollar entities spanning diverse industries and has been repeatedly enlisted to devise turnaround strategies and reverse underperformance across divisions with $100M+ business impact. A servant leader and talented consensus builder, Edwin inspires collective engagement and an “owner’s interest” in results. He enjoys mentoring and has a reputation for bringing out the best in team members. He restores management credibility, implements Lean strategies, and shores-up compliance, quickly achieving stability and efficiency. His style is pragmatic and methodical, yet creative, adaptable, and resourceful. In this role he supported the Space Shuttle Program, Orion Program, International Space Station Program, and Commercial Crew Program. He is a 2009 graduate of NASA’s FIRST (Foundations of Influence, Relationships, Success, and Teamwork) Program and holds a NASA Green Belt Certification in Lean Six Sigma. Will is also a certified Equal Employment Opportunity Counselor. Will Davis is a second-generation Mexican American born in El Paso, Texas and a proud member of and advocate for the LGBTQ community. He currently resides in Houston with his partner, Chris. John-Paul oversees the HR partnership helping to apply the power of autonomy from seabed to space as the potential to communicate and collaborate across domains in real-time can revolutionize how humans approach some of the world’s most pressing challenges. 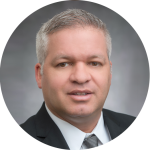 Before joining BDS, John-Paul worked as a Strategic HR Leader for Boeing subsidiary Jeppesen Sanderson, Inc. which is now a part of the Digital Aviation division within Boeing Global Services(BGS). At Jeppesen, he was responsible for developing and executing human resources strategies to ensure a positive employee experience, while driving business results for the organization. 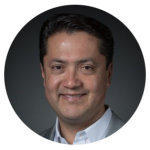 Juan Rivera is senior Vice President of engineering at Citrix Systems. Juan holds a BS in computer engineering from the University of Puerto Rico and a MS in software engineering management from Rochester Institute of Technology. Juan is from Jayuya, PR, has been married for 20 years and has three kids and one dog. Over his career Erick contributed to building the business in the Hair Care & Styling, Skin Care and Baby Care categories from locations as diverse as Cincinnati, Puerto Rico, Mexico, and Poland. He was Founding Student Chapter President for SHPE his junior year at Georgia Tech and has recruited many engineers for P&G including frequent participation at the SHPE National Conference. Born in St. Croix, US Virgin Islands, Erick’s Hispanic heritage is from Puerto Rico. As a senior manager, he has assembled high-performance teams who have successfully delivered eight commercial products. For non-technical fun, he enjoys traveling to new locations to explore the underwater world. His early career started with IBM mainframe hardware developing into systems administration with expertise in networking and operating systems support. Eventually, Jackie transitioned to a technical & commercial product support role in Energy Generation within the Global Electric Power Division taking him to many countries around world developing Caterpillar dealers while providing them strategic growth. He has a passion for developing people and building strong relationships both professionally and personally. Since 2005 he was involved in the creation of the Caterpillar Latino Connection Employee Resource Group. He was the global leader for 3+ years where he doubled membership to 1,000+ members. Now he leads the Caterpillar/SHPE Industrial Partnership Council (IPC) relationship and is committed to growing it. Outside of work, Jackie is an active leader in his community and Church where he helps other immigrants and less privileged. He is a strong believer of spending time together with his family every night. He enjoys beach time, traveling, and tourism. 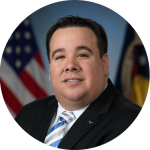 Prior to his current role, Mr. Crespo joined Lockheed Martin Space as the Program Deputy Director of Intermediate Range Conventional Prompt Strike (IR CPS) on the FBP Program. In this capacity, he was responsible for ensuring exceptional performance on the Hypersonic Booster Technology Development contract, while supporting the preparations and capture for the IR CPS Weapon Systems Integration program, and its subsequent development phases. 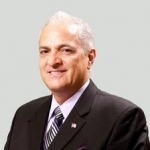 Mr. Crespo holds over 20 years of experience in the aerospace and defense industry. Before joining Lockheed Martin Space, he served as Director of Operations for the Boeing 737 fuselage sections, leading a workforce of 750 mechanics for Spirit AeroSystems in Wichita, Kansas. Prior to Spirit, Mr. Crespo worked for Raytheon Missile Systems. His latest role was Site Manager for Raytheon’s Redstone Missile Integration Facility in Huntsville, Alabama. In that role, he managed all activities at the site, including construction, automation systems installation and qualification, facilities, and the site’s ordnance certification for operations with approvals from DoD, US Army Redstone Arsenal Safety, and US Army Corps of Engineers. After the site opening he led the start of All-Up-Round (AUR) manufacturing operations for final assembly, integration and test for Standard Missile-3 and Standard Missile-6 programs. 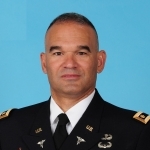 Mr. Crespo previously served in a number of roles at Raytheon including factory operations manager for the RF/EI factory at Raytheon Missile Systems, and engineering manager for several capture and development programs. Prior to that, he held several engineering management roles reporting to the engineering functional organization. Mr. Crespo started his career in defense as a mechanical designer for structures, guidance and navigation systems. 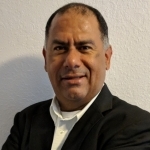 Outside of industry, Mr. Crespo has been an adjunct faculty member for the Aerospace and Mechanical Engineering Department (AME) of the University of Arizona College of Engineering in Tucson, Arizona for over eight years. He also spent many years recruiting engineering and business students as the company’s campus manager at the University of Puerto Rico. Crespo holds a Bachelor of Science degree in Mechanical Engineering from the University of Puerto Rico and a Master of Science in Systems Engineering from the University of Arizona. Eduardo Martinez serves as Executive Director of Manufacturing for Cummins and previously served as General Manager of its Global Remanufacturing Business. 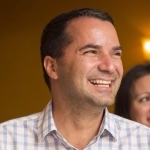 He has enjoyed working across many functions, business units, geographies and cultures. 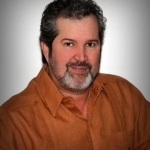 Prior to Cummins, Eduardo served 4 years in the Audit and Consulting Business. A native of Mexico, he graduated with a Bachelors in Finance and Accounting from his home town University and completed his executive education at Harvard Business School. Following his passion for advocating for the underrepresented, Eduardo serves on the Board of United Way of Bartholomew County and as Chairman of the Board of Su Casa Columbus, a non-profit organization focused on improving the lives of the Latinos in the area. He is Cummins executive sponsor for the partnership with SHPE. He is a recent graduate of the University of Texas at El Paso (UTEP) where he obtained a Bachelor of Science of Industrial and Systems Engineering. 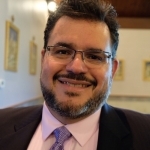 Currently, Braulio serves as the co-chair of the Hispanic Association for Corporate Responsibility (HACR) committee within the Caterpillar Latinos Connections (CLC) corporate Employee Resource Group (ERG). In this role Braulio support corporate initiative to advance the inclusion of Hispanics in corporate America. Additionally, he serves as vice-president of the Corinth Young Professionals chapter where he works to grow and improve the Mississippi Reman facility community though professional development, community outreach, and networking opportunities. 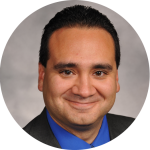 Outside of Caterpillar Braulio is an active member of the Society of Hispanic Professional Engineers (SHPE). He most recently received the Medalla de Oro at the 2018 SHPE National Convention STAR Awards, an award that recognizes individuals for their contributions to the Latino community. Outside of work Braulio enjoys hiking, trying new kinds of food, and community outreach. It was during his time at Rutgers University that Leo discovered SHPE. He attended his first SHPE meeting in 2006 at Rutgers University. In his final year, Leo served as President of SHPE Rutgers University. In May 2009, he obtained his Bachelors of Science in Mechanical Engineering. Afterwards, he relocated to Los Angeles, California to begin his career at Boeing Satellite Systems (BSS). During his time at BSS he served various functions, including Structural Design Engineer and Mechanical Liaison Engineer. In addition to this, Leo sought ways to be remain involved with STEM Outreach initiatives, joining the Boeing Hispanic Employees Network (BHEN), where he served as their Director of Outreach from 2011 – 2015. Seeing the lack of a strong SHPE Professional Chapter in the area, Leo teamed with others to create the foundation of what would become SHPE South Bay Los Angeles (SBLA) Professional Chapter. Leo served as the first President of the organization, which helped strengthen the network of professionals given the abundance of companies in the South Bay area. He also help foster a relationship with the local SHPE University Chapters. In July 2015, Leo began a new venture at Raytheon Space and Airborne Systems in El Segundo, California as a Senior Design Check Engineer. In addition to this, he served as the Director of Outreach for Raytheon’s Hispanic Organization for Leadership Advancement (HOLA). In this role, Leo created a relationship between Raytheon and the local SHPE University Chapters, providing access to workshops, tours, and firing events for all SHPE members. 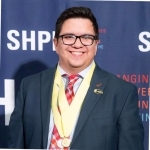 In July 2018 Leo became the Region 2 Vice President for SHPE National, where he serves the chapters of the Arizona, Southern California, and Las Vegas area. In August 2018, Leo returned to Boeing, in El Segundo, CA, where he currently serves as a Space Vehicle Design REA. 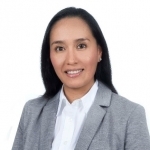 She has over 18 years of experience in Information Technology holding multiple roles in Program Management, Infrastructure, Integration, and IT engagement and communication. In prior roles, Nalby was responsible for the transformation of IT for several Lockheed Martin efforts leading the deployment of new technologies, mergers and acquisitions and multiple projects improving employee experience and productivity. Nalby has been the recipient of several Excellence Awards for her contributions to technology in prior roles. She is also very passionate about community outreach and STEM programs such as the Heart Walk, Viva Technology and Orlando Science Center STEM events. She was recognized at the Women of Color STEM Conference for her technical contributions and for her engagement and commitment to the community. 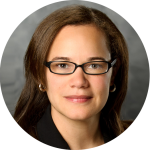 She is the co-lead for the Comcast/NBCUniversal Miami TECHWomen chapter and a board member for the Florida WICT organization. Nalby has an Associates degree in Computer Science from Monroe College, Bachelor of Science in Management Information Systems from the University of Central Florida and a Masters of Business Administration (MBA) from the University of Phoenix. 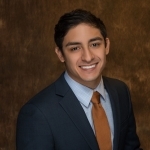 William Andrew Verastegui is a graduating senior at the University of Texas at Austin with a major in Mechanical Engineering and a minor in Portuguese. He is originally from San Antonio, Texas, but lived in Tampa, Florida from 2004 to 2014. He currently sits on the SHPE National Board of Directors as a National Undergraduate Representative. 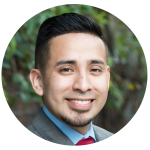 William credits SHPE with providing the resources he has needed to excel academically, grow professionally, and become a leader within his community. He has found a passion for management, organizational strategy, and the empowerment of underrepresented communities through STEM education. He also enjoys Brazilian Jiu Jitsu and Buddhist philosophy in his spare time and will be working for Capital One in Mclean, Virginia within Supply Chain Management, beginning in July of this year. Decorations, Service Medals, and Badges: Joint Meritorious Unit Award NATO Training Mission 2013 – Army Commendation Medal 2012, 2011 – Afghanistan Campaign Ribbon with two Stars 2012 – NATO ISAF Medal 2012 – Global War on Terrorism Service Medal 2012 – Army Service Ribbon 2012 – Armed Forces Reserve Medal 2012 – German Army Marksmanship Badge Gold 2011 – Army Achievement Medal 2008, 2004, 2001 – Air Assault Badge 2010 – Airborne Badge 1989. Education: Inter-American University, San Juan, PR (Bachelor in Business Administration) – Miami Dade College, Miami, FL (Law Enforcement / Criminal Justice). James S. Brown, a career specialist Facility Manager in the Foreign Service, is currently the Director of the Overseas Building Operations (OBO) Regional Support Center (ORSC) located in Ft. Lauderdale, FL. His first two postings he served as the deputy FM and then as the FM or senior FM at the others. All were unique and present different challenges. 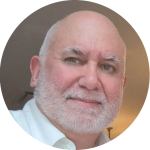 Jim grew up in Plainville, Massachusetts and went into the U.S. Army after high school for four years as an Electronic Warfare Repairman Specialist stationed in Augsburg, Germany and Ft Lewis, Washington. After that he worked in defense contracting at military bases around the world till he went to work for state. He has been married to Barbara for 34 years and they have two children Frank in Austin, Texas and Suzanna in New London, New Hampshire. Barb and Jim enjoy traveling and are looking forward to retirement one day. Since the founding, his firm has been recognized as one of the top minority owned businesses in South Florida by the Greater Miami Chamber of Commerce. He has since gone on to found or co-found several new entrepreneurial venture companies, among them, DLG Private Ventures and Genesis Structural Engineering. He earned his Bachelor of Science degree from the University of Miami in 1995. He has presented to numerous student and professional engineering associations on entrepreneurship, leadership and success. Due to public demand, in 2016, he decided to author a book on Engineering Entrepreneurship titled “Engineer to Entrepreneur: Success Strategies to Manage Your Career and Start Your Own Firm” published by the American Society of Civil Engineers (ASCE). He has since been traveling the country, upon request, to present and share his experiences on entrepreneurship. Mr. De La Guardia served as president of the University of Miami, College of Engineering Alumni Association from June of 2010 to May of 2012, chaired an advisory committee on Entrepreneurship and Innovation for the University of Miami College of Engineering and was member of the University of Miami Business School Entrepreneurship Advisor Board. He has mentored and advised many students and young engineers and is an avid investor in real estate. 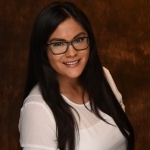 Prior to that, she worked for Enterprise, rising through the ranks of their storied sales training program to become a branch manager and then a Talent Acquisition Specialist for their corporate office, with a focus on female and D&I recruiting. Outside of work, Ashley is a huge Cleveland sports fan, she is excited to meet with all the SHPE participants this weekend. Geno is a Professional Speaker, Consultant specializing in construction and engineering, and a Mentorship and Networking Expert. 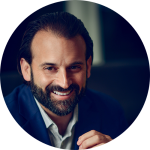 He has shared his expertise through coaching professionals and teaching students at Florida International University and Miami-Dade College. Mr. Jaramillo earned his B.S. in Electrical Engineering at the University of South Florida and his M.B.A. from the University of Miami. He is a certified member of the Southeast Chapter of the American Association of Airport Executives. He is a Lifetime member of the Society of Hispanic Professional Engineers (SHPE). He is on the Board of Directors of the Brinker Education Initiative. Both of these non-profit organizations promote STEM in the Hispanic Community. His speaking roster includes presentations at Embry-Riddle Aeronautical University, Florida Atlantic University, Florida International University, and Miami-Dade College. He was the Keynote Speaker at the Florida Engineering Society – Geotechnical and Materials Engineering Council Conference. He is passionate about personal and professional development, training, and sharing his expertise with the next generations of students, professionals and leaders. The Engineer – Is it ok to change careers? She completed graduate programs at Towson University on 201h Century Spanish Literature and a Postgraduate Program on Strategic Intelligence at the National Intelligence University in DC. 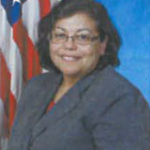 Throughout her career Ms. Vazquez has been an advocate for Hispanics at NSA. 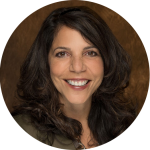 Passionate about mentoring, she is an active career and technical mentor and has helped build organization-wide mentoring programs supporting thousands of employees. She is a known leader in the promotion of diversity and inclusion. She is a founding member and former President of the Hispanic Forum, an NSA private organization and is also a former Chair and Co-Chair of the NSA Hispanic/Latino ERG.